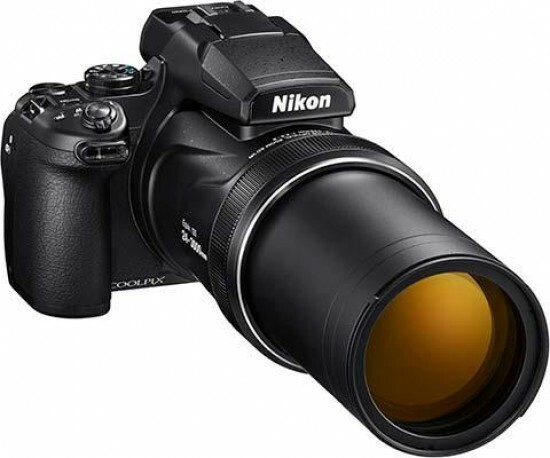 The Nikon Coolpix P1000 superzoom bridge camera features an incredible 125X optical zoom lens offering a focal range of 24-3000mm. Nikon also announced the new ML-L7 Bluetooth connected remote as another optional accessory available for the P1000. The Nikon P1000 will have a suggested retail price of $999.95 / £999 / €1499.00 and will be available in September 2018. MELVILLE, NY – Today, Nikon Inc. announced the COOLPIX P1000, the new undisputed powerhouse of superzooms. With an incredible 125X optical zoom (24-3000mm equivalent) powered by high performance NIKKOR optics; the P1000 is the ideal companion camera for birding, sports, wildlife and celestial-photographers seeking superior performance from extreme distances. Beyond its incredible zoom range, the versatile 16-megapixel COOLPIX P1000 captures 4K UHD video and offers a myriad of manual controls, as well as user-friendly functions including built-in Wi-Fi1 and Bluetooth2connectivity, letting photographers of all levels explore and share their creativity.